How do we make sense of the events, ideas and people of the past? History at Southampton challenges you to interpret the history of past societies critically and imaginatively. The past is a foreign country and fascinating in its own right. But it is much more than that. It also serves as a gateway to understanding the present by equipping you with the investigative and analytical skills necessary to make sense of our increasingly noisy and complex world. 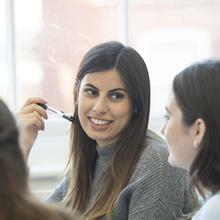 Our diverse range of over 100 modules include topics from ancient history, the medieval Crusades, the Tudors, the Space Race, right through to the War on Terror, enabling you to tailor your degree to your interests. Studying history at Southampton has opened my eyes to time periods and subjects which I didn't even realise I could study. In your first year you will take core modules on historical and analytical skills and key conceptual tools for historians. You will also select modules from options covering the ancient to near contemporary world, exploring the development of a historical topic over time, and analysing sources for its study. For further details see the full course map under Modules. Access to significant document collections, including the Wellington, Palmerston and Mountbatten papers, and the Parkes archive. You can take this programme with a year abroad at one of our 173 partner institutions in over 24 countries – use code V101 when you apply through UCAS. AAB to ABB including History or a related subject*. *Related subject includes subjects such as English, Philosophy, Religious Studies or Classical Civilisation or other humanities based essay writing subjects. Students applying without History will need to make a case in their personal statement. We welcome applications from international students. Helpful information on applying, meeting a University representative in your country, or improving your English language levels can be found on the International Office website. If English is not your first language you will be required to pass an approved English test. We normally ask for an overall IELTS score of 6.5 with no less than 6.5 in Writing and Reading and no less than 6.0 in Speaking and Listening or equivalent. We welcome applications from candidates offering qualifications other than A and AS levels (including BTEC, European Baccalaureate, International Baccalaureate, Irish Leaving Certificate and Scottish Highers). You will be expected to attain an equivalent standard in other qualifications approved by the University to an A level applicant. Contact us for further information on equivalencies for these qualifications and others not listed here. A typical contextual offer is ABB from three A levels including History (or a related subject*) or an equivalent standard in other qualifications approved by the University. Selection is normally based on actual or predicted grades plus the reference and personal statement on your UCAS application. Exceptionally we may ask you to come for an interview before making an offer. The history undergraduate programme is modular. This means that your programme is divided into self-contained modules taught and assessed in a single semester. Taught modules may be single (two hours teaching a week), or double (three to four hours teaching a week, depending on the type of module). A Tudor Revolution in Government? 30 Credit Modules You must take 30 credits from the following At least one pre-modern module must be taken across the year (pre-1750). A list of these will be sent separately to you. Space on modules can be limited due to seminar group size. 15 Credit Modules Select up to 15-30 credits from the following. At least one pre-modern module must be taken across the year (pre-1750). A list of these will be sent separately to you. Space on modules can be limited due to seminar group size. Semester 2 History Modules Select up to 30 credits from the following At least one pre-modern module must be taken across the year (pre-1750). A list of these will be sent separately to you. Space on modules can be limited due to seminar group size. Semester 1 History Modules Select 1 module from the following Space on modules can be limited due to seminar group size. Semester 1 Alternative Modules Select 0-15 credits from the following Either select 1 x 15 credit History module from Group 2 or choose 1 x 15 credit module outside of History i.e. CIP/Free Elective/Language Module from Group 3. Space on modules can be limited due to seminar group size. If you decide to opt for a language module, please note that you will only be able to take this in Semester 1 unless you opt out of part 2 of the Special Subject and take the language in Semester 2 alongside 1 x 15 credit History module from Part 2. Space on these will be subject to availability and preference is given to students studying part 2. Semester 1 Alternative Modules You can choose 1 x 15 credit modules outside of History i.e. CIP/Free Elective/Language Module from this group. If you select HUMA3009, acceptance onto this module is subject to the successful completion of an application form, interview process and a DBS check. All students who select this module will be contacted separately. If you decide to opt for a language module, please note that you will only be able to take this in Semester 1 unless you opt out of part of the Special Subject and take the language in Semester 2 alongside 1 x 15 credit History module from Part 2. Space on these will be subject to availability and preferece is given to students studying part 1. History Special Subjects (30 credits) (you may not take part two with out having taken part one.) HIST3021 Dissertation (compulsory) (30 credits). Stationery You will be expected to provide your own day-to-day stationary items, e.g. pens, pencils, notebooks, etc.). Equipment Laboratory Equipment and Materials: All laboratory equipment and materials are provided. IT Computer Discs or USB drives: Students are expected to provide their own portable data storage device. Software Licenses: All software is provided. Hardware: It is advisable that students provide their own laptop or personal computer, although shared facilities are available across the University campus. Printing and copying Where possible, coursework such as essays; projects; dissertations is likely to be submitted on line. However, there are some items where it is not possible to submit on line and students will be asked to provide a printed copy. The University printing costs are currently: A4 - 5p per side (black and white) or 25p per side (colour) A3 - 10p per side (black and white) or 50p per side (colour) Please Note: Paper sizes not recognised by the printing devices will prompt you to select the size and then charge a minimum of 50p per black and white copy and a maximum of £1 per colour copy. You can pay for your printing by using the money loaders or by using print copy payment service by going to https://www.southampton.ac.uk/isolutions/students/printing-for-students.page. The University Print Centre also offers a printing and copying service as well as a dissertation/binding service. Placements Students on placement programmes can expect to cover costs for health and travel insurance, accommodation and living expenses; travel costs; visa costs. This will vary depending on which country you are travelling to. Specific details on what additional costs there will be are detailed in the individual module profiles which can be found under the modules tab of the programme details of your programme. Studying History at Southampton will help you to acquire the critical thinking and communication skills that are vital as you embark on your career. During your studies you will gain valuable transferable skills - the ability to weigh up evidence and arguments, to express your opinions coherently and concisely, to work independently, to manage your time and workload effectively, and many more. These skills will demonstrate to employers that you are uniquely equipped to respond positively to the challenges and opportunities of tomorrow's workplace. Your skills of research, analysis and expression will open a wide variety of career options. Our graduates have succeeded in careers as diverse as law; the media; IT; the Civil Service; advertising, film and television; business and finance; teaching; politics; numerous roles in the public sector and NGOs; publishing; teaching; museums, galleries and libraries - to name but a few. In addition, work-experience opportunities help you to apply your transferable skills in the workplace before you even finish your degree. For example, the university's Excel scheme offers around 150 placements in a range of companies. Freddie Hutton-Mills is a graduate of History at Southampton. ‘Filmmaking is also very much like a puzzle', he said. There are lots of different elements that make a film: from actors, art department, cinematography, sound, visual effects and so on. To be able to put all these areas together in a way which makes sense, is a similar skill to looking at a number of different sources to make an essay. So, regardless of the problems I might encounter with making a film, I never feel like I don't have the core skills to tackle the problem'. Read Freddie's full profile here. 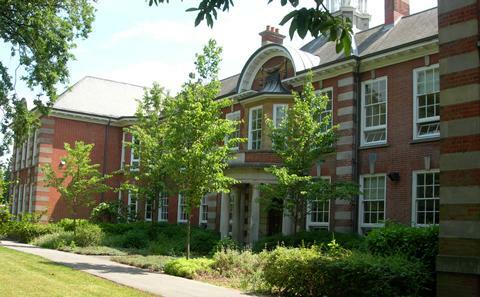 A History degree at Southampton is an education in the discipline of history (historiography), the development of historical debates and ways of imagining the past. We are committed to facilitating a personalised and enjoyable experience, ensuring you graduate with the critical thinking and communication skills you need to begin a successful career.